Allies: Same as Aislynn. Anyone good, and Rachel and May. fears: Huge arachnids, squirrels taking over the world (Ha! I will tell you about that later.) , Friends being evil. Phooey, looks like I left things out. Enemies: If you stole my dog or are evil, then you are my enemy! Quirks: Sings! A LOT! And will randomly start dancing. (I have more quirks, such as being attracted to carpet samples, but I'm not getting into that right now). Fears: Losing someone I'm close to, but other than that, not really anything because I know God will protect and guide me. Favorite activities: A lot of things, actually. Special Characteristics: Aethermatron Arm from the right elbow down, Infrared scanner on left eye to restore vision after lab escape. Nickname(s): Vy, The Masked Scientist, That-Mad-Scientist-That-Works-For-The-Scarlet-Guy. Most Used Line: "Булыжники! (cobblestones! )That was quite the unexpected result...."
Character: Mysterious and formal. Usually holds friends at a distance (Due to past betrayals) But often gets attached before she knows it. Is mostly a do-it-yourself girl, and tends to only employ help if ABSOLUTELY necessary (Much to her downfall at times). Role-Model: The Scarlet Man, @Hanna_Brassheart. Allies: @Scarlett_Darkhall, @Ilayne_Merespark, @Jacoby_Elderfun1, @Emily_Purplebottle, @Etlo_Maxlance, @Xonos_Darkgrate1, @Goku_Ironheart, @Aislinn_Mollisong1... And more. Random Facts: Has a bad habit of turning into a stereotypical Mad Scientist during times of high stress. When provoked to anger defaults to only speaking in Russian. Has a Hot-Chocolate-And-Strawberry-Kiwi-Tea addiction. Biggest Fear: Failing The Scarlet Man, Lashers. Attack Details: Try to avoid contact. If contact with enemy forces ensue.... BURN IT ALL TO ASH AND PARTICALS AND ASK QUESTIONS LATER! Or tactfully use fire to cause enough damage for backup to arrive in time. Most Used Phrase: How interesting... Bwa ha ha ha! Fears: Someone discovering his secret hideout, not getting paid. Favorite Food(s): Chicken (Any way you cook it) Pizza, Spaghetti, Pancakes, Waffles, Ice Cream and ANYTHING CHOCOLATE! Favorite Automatons to Fight: Any. Death to them all!!! Most Used Line(s): ""Greetings from the Warfalcon." and "The Warfalcon must fly!" Favorite Drink(s): Lemonade, Tea, and above all, MOUNTAIN DEW!!!!!!!! Most Used Line(s): "Aren't you glad you have a guardian?" And "I'M GONNA SMASH YOU LIKE A TIN CAAAAAAAN!!!!!!!" 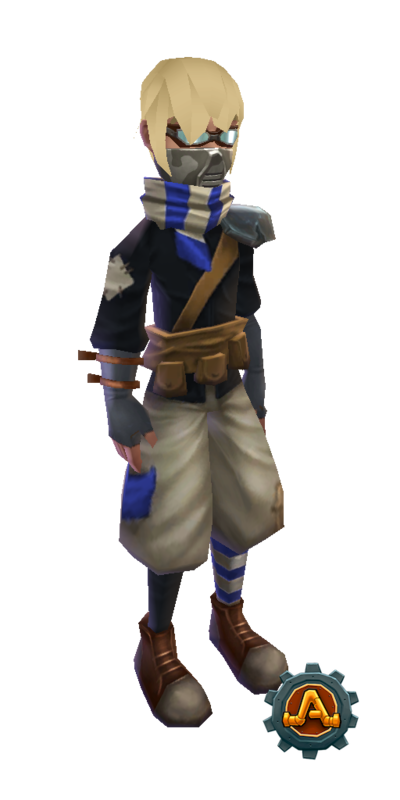 Hobbies: Taking care of Puffsickle, Playing Hide-n-Seek, and Bustin' some 'tons, yo! Attack Details: SMASHES EVERYTHING LIKE A TIN CAAAAAAAN!!!!!!! It took me way to long to find this. Nickname(s): Bacon, Piggy. P.s. Just so you know I don't like these nicknames but some specific people still call me these. Occupation: Destroying Autos and chatting with others. Most used phrase: Who touched my computer?! Role Model: Pig Larkcape Ha! Allies: @May_Otterview @Xonos_Darkgrate1 @Silverclaw_Bonnetfolly1 @Cinnar_Ratchetloop @Emily_Purplebottle @Ariella_Newheart @Annaliese_Dancemuddle @Aislinn_Mollisong1 ect. Enemies: Anyone that is not on my side is my enemy! Fears: Spiders, Centipedes, and any creepy crawly. 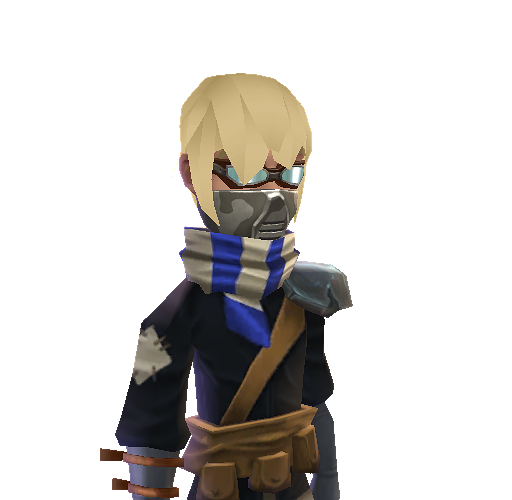 Sorry but it's actually City Explorer Mask. it is basicly gives people a better understanding of your character, to make one, get a picture of your character, paste it on a new presintation on micrasoft power point (or whatever you have) and then make a text box a fill it with the following information, Your characters full name, their alias (or nick name in short terms), their nationality (dosn't have to be yours), your characters ocupation in Aethasia, their specialities (things their gifted at), their hobby/hobbys, their favorite food and prefered weapon/weapons. Least Used Phrase: Well, this doesn't look good. Least used phrase: "Wow! I'm crazy!" Character PRO: I'm willing to be of assistance! Character CON: I get a little... snoody when I don't get enough sleep. If you would like to join, simply say so! @Xonos_Darkgrate, just so you know, I did not copy you! I saw your post after, notice, after I posted mine. And copycats are. so. not. COOL!!!! Yes, we are in the Role-Play category right now hehe sorry for the confusion.